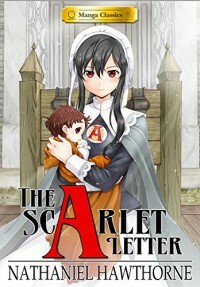 The Scarlet Letter is the third Manga Classic I read and I must say this is getting rather addictive. I seem to be making a habit of reading this kind of adaptations to sample classics that have been on my to be read pile for quite some time. For this one, I remember seing the movie when I was little, but just the ending, and I actually own an ebook copy just waiting for me on my Kindle. I must say, this manga adaptation made me want to move it higher on my TBR list. 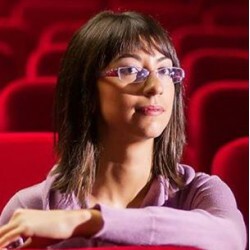 The story, for those unfamiliar, is about a young woman who gives birth to a perfectly healthy girl. The problem, you are wondering? Well, it's just that she is not married to the man she conceived her with, and because of this, she is forced to wear a red letter "A" on her chest, which stands for Adultery. It is meant as a form of punishment and everyone in the village despises her and shows her to their children as a bad moral example. The identity of the father is kept secret by the poor mother, but it soon becomes very clear to the reader who he is. The illustrations are beautiful as expected from the Manga Classics series and as far as I've seen in other people's reviews, the story remains true to the original. As always, I recommend this to fans of the original novel, those who are thinking of reading it or anyone who loves manga in general. It is a fast read, an engaging, emotional story and a great way to relax after a bad day or when trying to get over a reading slump. If anyone involved in the making of this series of amazing manga adaptions of classic novels is reading this review, please add Jane Eyre to your collection and I will be the most grateful person in the whole wide world. It is my favourite classic of all time. Scratch that. It's my favourite book ever and that's all.